Great read, and many thanks for sharing! 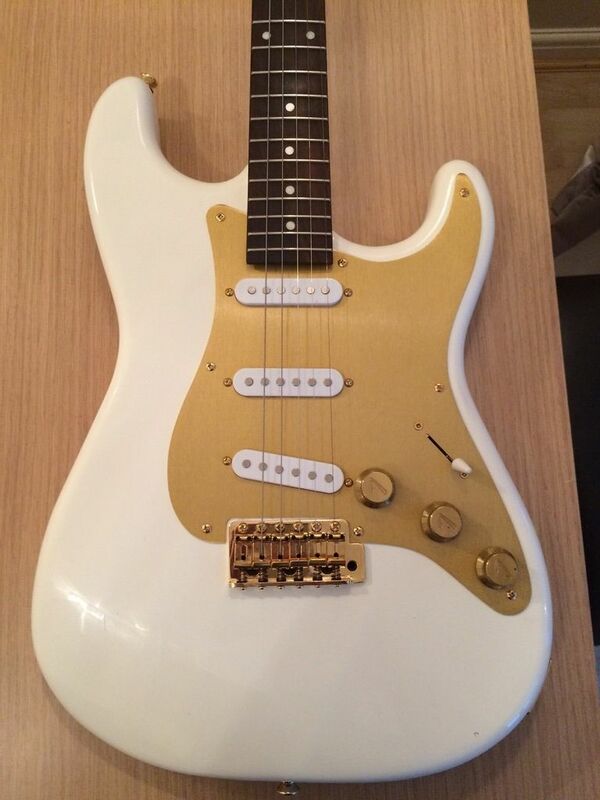 Looking forwad to that post about guitar shopping. Btw, I noticed that the Love Rock on this pic has a three screw trc. 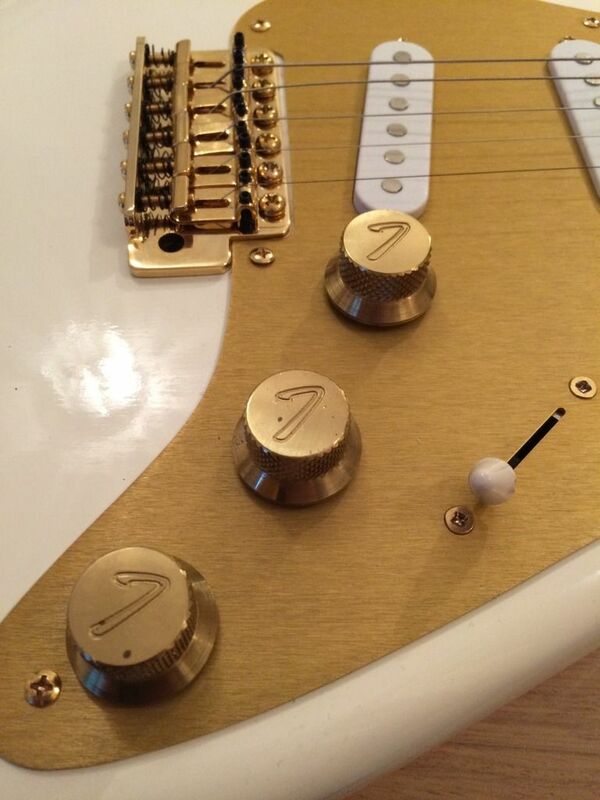 That would make it a non MIJ guitar, or..? Distributors have a choice, direct from China or through the Japan factory for an additional 15% up-charge. That was a great read and very informative! It comes across that Tokai is a real and down to earth company that actually listens to their customers. Thanks for your comment BrianGT. As a family business started in 1947 I think they really appreciate the feedback from customers. 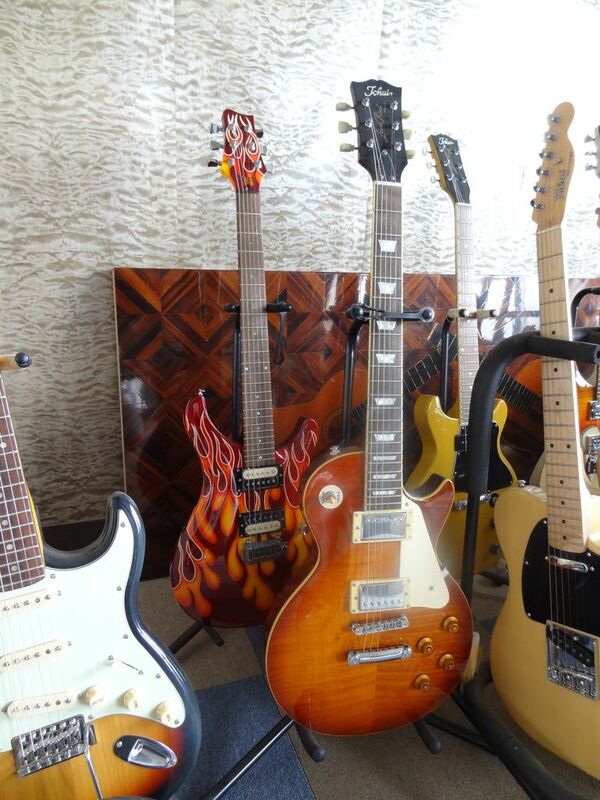 I will try and get the guitar shopping in Tokyo article completed in the next month. I love the look of that yellow double cut special. Whats that model ?? Looks MIJ. As a post script I found these shots of the original 80's brass knobs fitted to my snow white special edition with brass Fender scratchplate. I think it looks spot on! 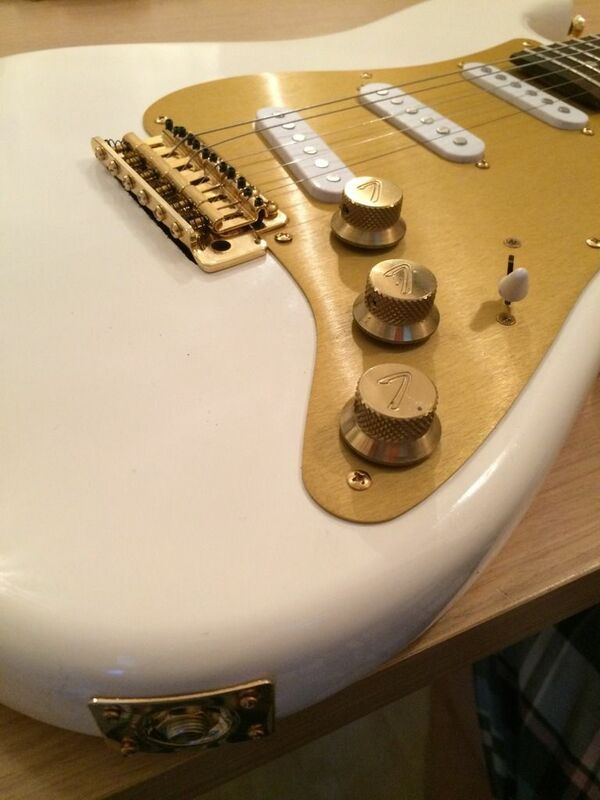 Where can I buy the gold pickguards? I need to send a few to Tokai for an order they're doing for me. Hope you are going to share your results!